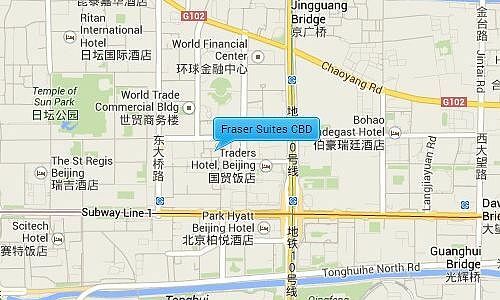 Located in the heart of Beijing’s thriving CBD area, Fraser Suites CBD is situated to the south west of Central Park. It is surrounded by many restaurants, shops, supermarkets, banks, cafes, and Eton Kindergarten is a short walk away. Sanlitun village and bar street are near in the North, and it is close to some key places of interest like the CCTV headquarters and the Xiushui silk market.